Check out Tobi's So Far Away Double Buckle Belt Two buckles are better than one with the So Far Away Black Double Buckle Belt. This vegan belt features a soft, faux leather with double gold buckles and five hole adjustments. This unique belt will look totally fab with high waisted jeans or a maxi dress. Two buckles are better than one with the So Far Away Black Double Buckle Belt. 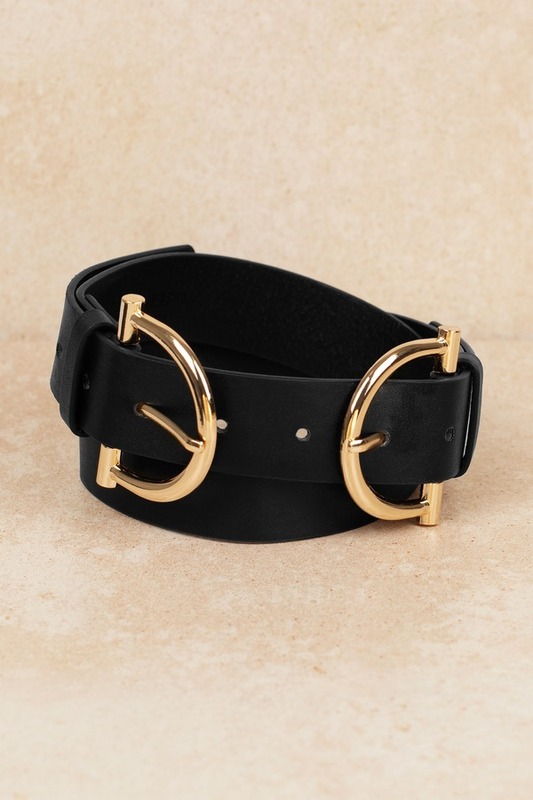 This vegan belt features a soft, faux leather with double gold buckles and five hole adjustments. This unique belt will look totally fab with high waisted jeans or a maxi dress.